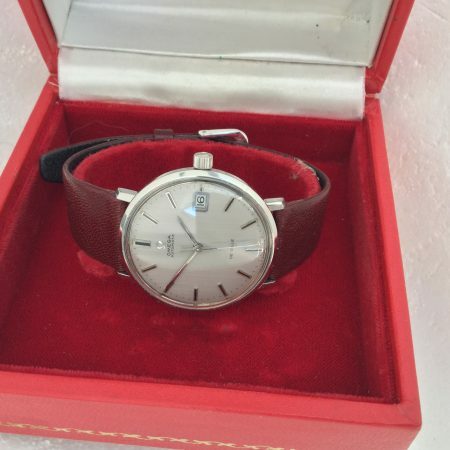 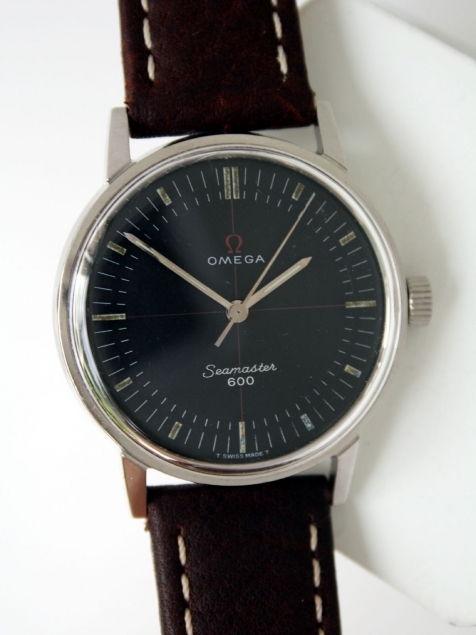 Lovely rare dial 1964 Omega Seamaster 600 with original finish red cross-hairs dial. 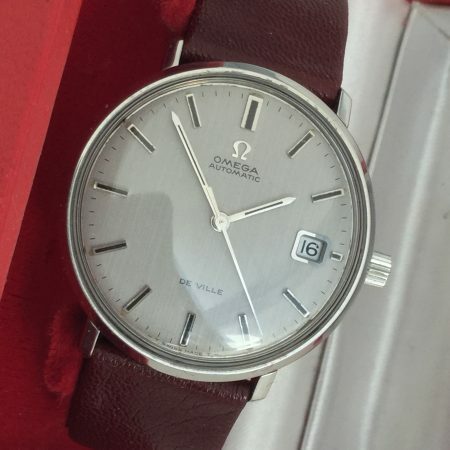 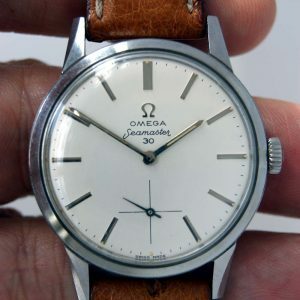 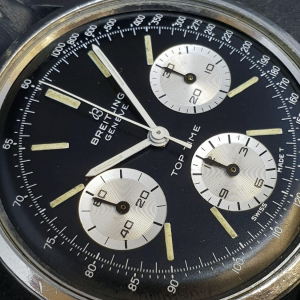 This is one of the most attractive dial designs Omega came up with at the height of their powers in the early 1960s at the onset of swinging London. 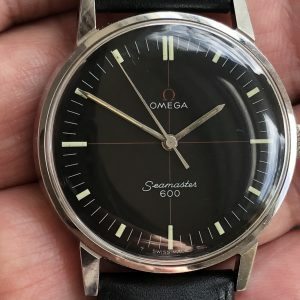 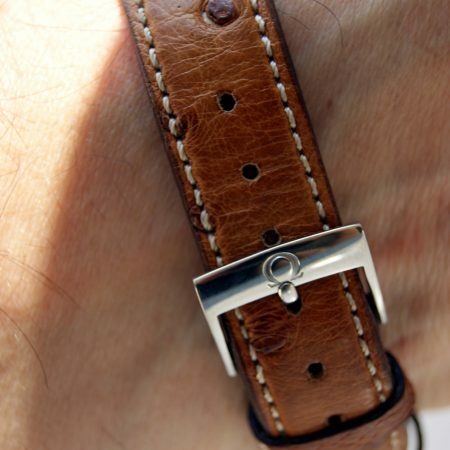 Lovely all steel screw-back case with Seamontser logo, too!